The report is in: Learn new Alzheimer’s facts and figures here. 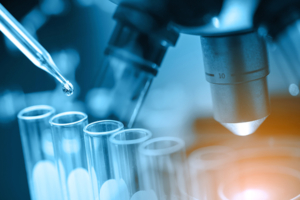 2019 Facts and Figures Report, and with a staggering 5.8 million Americans presently diagnosed with the disease – including one out of every ten older adults – it is essential for all of us to be familiar with the latest innovations in research and treatment plans. Seniors experiencing pain or chronic illness can still experience joy. Learn how to help here. Have you ever gotten out of bed and said, “It’s likely to be one of those days!” Maybe your alarm didn’t go off, the hot water heater decided to stop working, and the dog chewed up one of your most loved shoes overnight. Then consider if every day were “one of those days!” For someone coping with a chronic disease (and that’s the majority of the older adult population), day-to-day struggles and challenges can be a given. Follow passions. Seeking purpose and meaning in each day is vital – and attainable. Many seniors find gratification in aiding and supporting other people. Others thrive on being lifelong learners. For some it can mean documenting earlier times for the next generation. Brainstorm ideas until you arrive at one that sparks passion, and then make it a real possibility. Practice positivity. One smart way to accomplish an even more positive take on life is by journaling. Encourage your elder loved ones to start every day by developing a summary of everything they’re thankful for that morning, including the relatively ordinary: the smell of fresh coffee brewing, a cat curled up in a sunbeam, an upcoming lunch date with a relative. At the conclusion of every week, sit together and read back through the prior entries for a quick and effective pick-me-up. Try to avoid negativity. Including a measure of positivity as mentioned above can naturally result in minimized negativity, but there are additional steps which can be followed as well. For instance, provide for breaks from activities that induce frustration, allowing for needed time to de-stress. Place the emphasis on undertaking tasks which can be executed successfully, and find an alternate solution for those that are much too challenging, such as assigning those tasks to another relative or friend, or employing the services of a specialist. Get out of the house. Preserving as active a lifestyle as possible outside the home is usually so energizing for older adults. Help your elder loved ones go out for hair appointments, shopping adventures, visits with relatives, along with other fun outings, as much as they are able. Even simply stepping outdoors and relaxing on the front porch when weather allows can substantially enhance someone’s spirits and outlook. At Responsive Home Care, it is our aim to help older adults attain the highest possible quality of life without exception. Our professionally trained and experienced caregivers provide pleasant companionship, interesting activities, transportation, and more. Contact us at 954-486-6440 and discover the difference our home health care Coral Springs, FL services can make for your loved one! See our full Broward County service area. 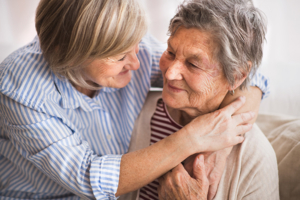 Learn how partnering with Fort Lauderdale elderly care experts, Responsive Home Care can help you with dementia care for a loved one. Why don’t we face it: lots of us have a fear of doctor visits. It could be uncomfortable and downright distressing when something is wrong and we are facing the prospect of an undesirable diagnosis. Nonetheless we recognize it makes sense to complete what’s best for our health and to be conscientious about obtaining essential healthcare. Our senior care services in Pembroke Pines and the surrounding area include helping older adults overcome a fear of doctor visits. 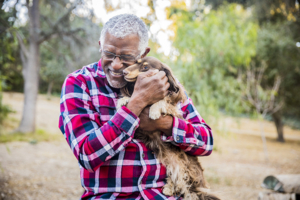 Responsive Home Care, providers of senior care in Hollywood, FL and surrounding areas provides tips to improve health by preventing senior loneliness. With over 325 million people living in the United States alone, it’s difficult to imagine that loneliness would be so widespread. Nevertheless, over 50% of the elderly live alone, and more than a million of them are estimated to be chronically lonely. In reality, almost 1/2 of older adults studied stated that their primary source of company is the tv. Being lonely may result in acute health concerns as well, reported to have as significant an impact as smoking cigarettes and being overweight, and can contribute to depression, hypertension, dementia, and also an earlier mortality rate than others who happen to be socially connected. I am content with my friendships and relationships. I have plenty of people I feel comfortable asking for help at any time. My relationships are as fulfilling as I would like them to be. Consult with your senior loved one’s neighbors, friends, and members of his or her religious organization in order to coordinate weekly visits. Take advantage of technology, including Facetime and Skype, to allow the senior to be connected remotely. Explore available activities and courses for seniors from the nearest community college, senior center, and gym. It is also essential to eliminate clinical depression or any other health conditions as the underlying reason behind your loved one’s loneliness. 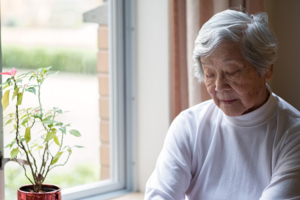 A senior who’s isolating herself/himself on account of mental or physical conditions requires professional healthcare services to address the problem and receive relevant care. Contact us any time at 954-486-6440 for help in making certain that your senior loved one is socially active and experiencing life to the fullest! 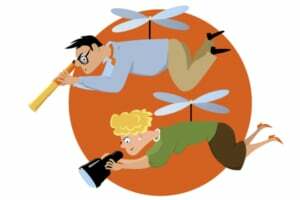 In Caring for an Aging Parent, Are You Overstepping Boundaries as a Helicopter Child? Learn how to avoid overstepping boundaries when it comes to senior care for parents. 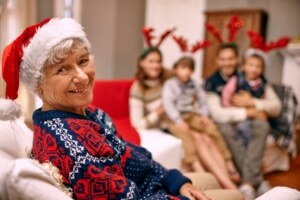 https://www.responsive-homecare.com/wp-content/uploads/2018/12/helicopter-parents.jpg 400 600 Debbie Savage, RN, BSN, President https://www.responsive-homecare.com/wp-content/uploads/2019/03/rhc-logo.png Debbie Savage, RN, BSN, President2018-12-14 10:38:492019-03-25 19:30:49In Caring for an Aging Parent, Are You Overstepping Boundaries as a Helicopter Child? 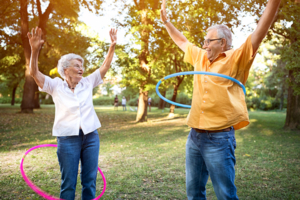 Learn about the senior health benefits of “play” and how our home care company in Ft. Lauderdale, FL can help. 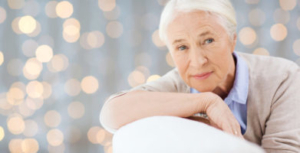 Learn the warning signs of dementia in this article by the Ft. Lauderdale home care experts. Exercise is one of the most important things anyone can do for their health, energy levels, and safety. When you’re talking about seniors living at home, it may not seem as important as it once did, but it’s actually one of the most important things people can do, regardless of their age. In fact, even seniors who have had heart attacks are often encouraged by their doctor to get exercise daily. 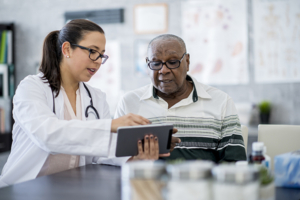 Of course, it’s absolutely crucial that an elderly person consult his or her primary care physician to make sure exercise is warranted and safe. There are numerous reasons why exercise is so beneficial and there are plenty of ways to get adequate exercise for people of all ages. When seniors exercise regularly, it can help improve their strength and agility, balance, and ultimately their safety. It only takes 15 minutes per day. A lot of people in the United States and around the world have a tendency to assume if they don’t get at least an hour’s worth of exercise in every day, it’s not really going to make a difference. In truth, 15 minutes of cardiovascular exercise every day is enough to help strengthen the heart and keep the body in relatively good physical condition. Of course, a senior who is only able to do 15 minutes of light exercise is not going to be maintaining their muscle mass each passing year. There are many activities to enjoy. Exercising can be done by simply increasing the pace of walking, doing water aerobics, taking part in yoga that is specifically designed for seniors, and much, much more. If a senior enjoys certain activities that get them moving, they should be encouraged to do them. Sometimes, though, they may need physical support. This is where a home health care aide can be beneficial to keep them safe while taking part in these activities. It helps to strengthen legs. While a person in their 70s or 80s is not likely to add muscle mass through any amount of exercise, it can help prevent muscle loss from continuing, or at least slow it down tremendously. This can help them maintain better balance and keep them safe or within the comfort of their home. Far too many family members see exercise as being a hazard rather than a benefit. They may discourage exercise and activities for their aging parents or other loved ones, but the best thing to do is encourage the hiring of a home health care aide who can assist the senior in these exercises and activities and keep them safer within the comfort of their home. If you or an aging loved one are considering Home Health Care Services in Lauderhill FL to provide companionship, compassion and motivation, please contact the caring staff at Responsive Home Care. Call today 954-486-6440. What Might Be Causing Insomnia for Your Elder Loved One? Having a difficult time sleeping isn’t fun for anyone, but if it’s happening to your elder loved one, it can affect you, too. 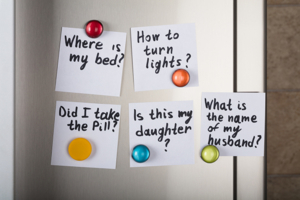 As her family caregiver, it’s important to get to the bottom of your loved one’s insomnia issues so you can help her resolve them. Shorter-term insomnia might include a temporary patch of sleepless nights for your elder loved one. It also might be used to describe intermittent problems with sleep that your loved one is having. Some of the causes of short-term insomnia can include changes to your elder loved one’s medication, environmental issues such as noise, or even stress. Sometimes the smallest changes can make it difficult for your loved one to sleep properly. Short-term insomnia might cause your loved one to have an unpredictable sleep schedule, which can ultimately make the situation more difficult. Long-term insomnia is a much more invasive type of insomnia. This is a form of insomnia in which your loved one consistently has a difficult time sleeping. Some of the reasons for this can include depression, anxiety, and even chronic issues with pain. Health issues can even cause your loved one to have difficulty sleeping well. Breathing problems, acid reflux, and dementia can all contribute to insomnia. If your loved one has been having sleeping issues for a longer period of time, she might be reluctant to try to solve the problem because it feels like it’s always been there. The first step in managing your elder loved one’s insomnia is to talk with her doctor. Medication is not always the best step to take in the beginning, but your loved one’s doctor has other solutions in his bag that he can try first. If you’re not already using a sleep schedule including regular bedtimes and wakeup times with your loved one, now might be the time to start. A sleep diary can also help you and your loved one’s doctor to figure out the more subtle contributing factors to your loved one’s sleep issues. 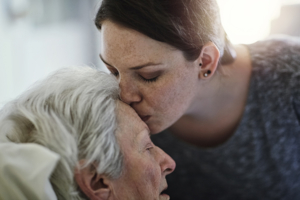 Work with your loved one’s entire care team, including other family members and her elder care providers, to stick to whatever plan works to help her get the sleep that she needs. If you or an aging loved one are considering Elder Care Services in Deerfield Beach FL to provide companionship, compassion and motivation, please contact the caring staff at Responsive Home Care. Call today 954-486-6440.
https://www.responsive-homecare.com/wp-content/uploads/2017/02/bigstock-age-and-people-concept-happy-104637992.jpg 200 391 Debbie Savage, RN, BSN, President https://www.responsive-homecare.com/wp-content/uploads/2019/03/rhc-logo.png Debbie Savage, RN, BSN, President2017-02-21 12:34:262019-03-20 09:58:03What Might Be Causing Insomnia for Your Elder Loved One?